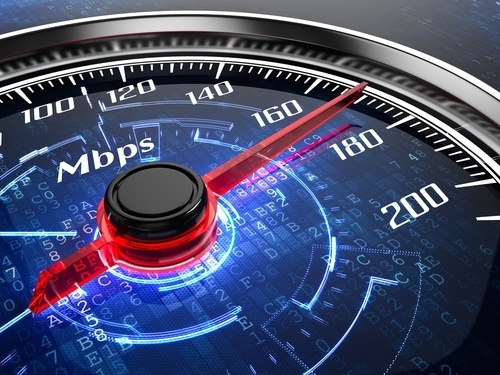 Consideration of the speed at which your web page loads may be more critical than you think. Unless your web page is able to load in three seconds or less, you might be in danger of losing a large portion of your visitors. Today’s internet users are in a hurry and you can keep them happy when your website loads more quickly. Studies show that user experience is dramatically affected by page load times, particularly when involving a mobile device. When your website’s page load time is optimized, even by just a second, the potential impact for customer experience and sales conversion is increased. In fact, just dropping one second in page load time can cause your website to increase in page views as well as in conversions. And that’s always the goal. While creativity and aesthetics are important, in order for a visitor to actually see the page, the user has to be able to view it. And quickly. In fact, according to Akamai data, 47% of customers expect a website to load in just 2 seconds, and 40% will abandon a site if it loads in more than three seconds. Sometimes the design may need to take a back seat in order to prioritize page load times or your visitor will abandon your page before it is even seen. According to more Akamai and Gomez.com data, 79% of online shoppers say that they won’t return to a website as a repeat customer if they have trouble with website performance the first time. And word really spreads fast. At least 44% of online shoppers will tell their family or friends about a bad online shopping experience. The good news is that more than half of online shoppers are more likely to be loyal to a site if the page loads quickly. So, your organization has the opportunity to build brand loyalty simply by making sure that your site load time is on par. While expectations for desktop web pages are one thing, the competition increases when it comes to mobile pages. Accelerated Mobile Pages are designed specifically to make mobile pages load very quickly, working as sort of a simple version of HTML. Made to be lightweight and fast on its feet, AMPs cater to ecommerce users who are losing their patience by prioritizing which pages load first and which are in the background. AMPs provide an enhanced user experience, increased website interactions, and even potentially offer higher Google rankings. And everyone wants those higher rankings. Whatever web hosting platform you choose for your ecommerce site, you want to be sure that it is optimized for the fastest possible load speed. HubSpot COS platform users benefit from optimized page loads, not counting the content that users add on their own. No matter what your platform, be sure that your web pages load within the critical 2-3 seconds so that your organization is offering the best possible experience and gaining as many conversions as possible.